Sunderland Electric believes in making Earth a healthier, greener and cleaner place for all, so that is why we offer LED lighting systems. We work with multiple vendors and your local electric utility to get our customers the best pricing and rebates. 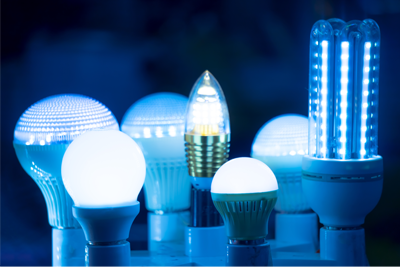 Light Emitting Diodes (LED) convert electricity into light, producing a cool light that is bright. LED’s began to be used in the 1960’s as an alternative to traditional lighting sources since they are cost-effective, having a lifespan of approximately fifty-thousand hours. Additionally, LED’s have a lower emission. LED’s are flexible and can light small to large areas. Most types of LED lighting come equipped with dimming capabilities, and choice of colors. Specialized controls are endless, from white, warm white, red and blue.